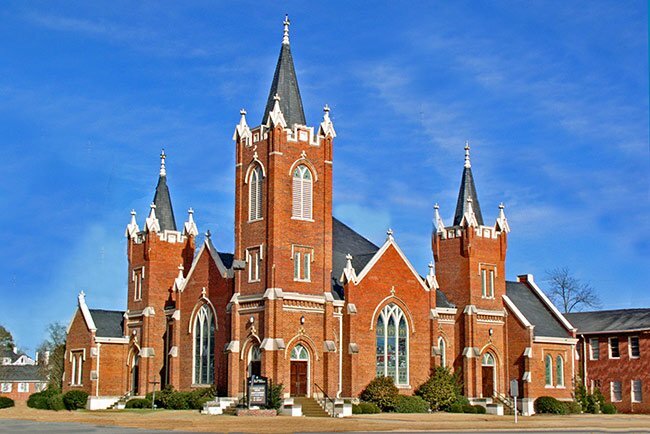 This Gothic Revival church in downtown Dillon is the third sanctuary to serve the congregation of Main Street United Methodist. 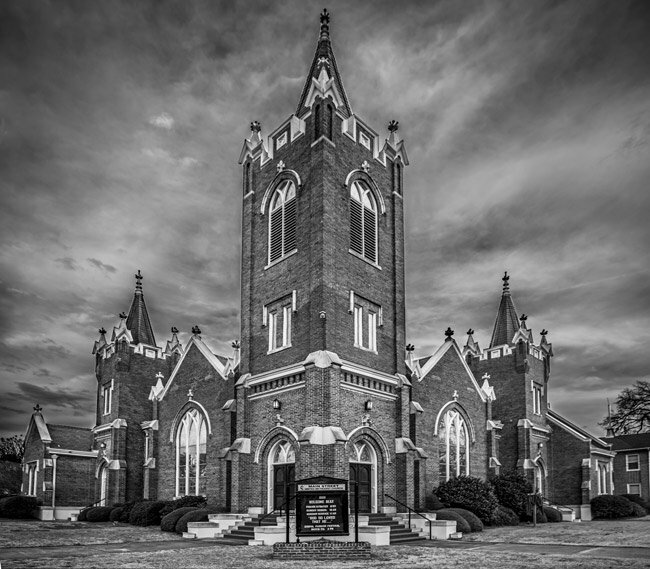 The church was founded in 1892, and its first house of worship occupied the lot on West Main Street where the Dillon County Courthouse now stands. That church, a frame building, was moved to the corner of Third and Hudson streets in 1910 in order to make this lot the location of the courthouse, which was built in 1911. Within a few years of the move, the church was ready for a newer, larger building. A Gothic Revival church very similar to this one, designed by Charlotte, North Carolina architect Oliver Wheeler, was completed on the present site in 1914. Unfortunately, that church suffered a fire seven months later and was destroyed. The church used Wheeler’s same design when rebuilding, and this stately cruciform edifice has been standing here since 1916.